Self-employed for my entire working life, I ran my own Business Consultancy and group of businesses in Britain for many years. Check me out at JOSEPH TOM RIACH. Today I live in Portugal. I run WAKE UP Personal Mentoring and Business Guidance motivation holidays (click name) in which I school visitors on my life, finance and business success strategies. WINNING BIG IN LIFE AND BUSINESS (click name) is my latest book Available in both Paperback and Kindle, it tells how to do exactly what the title says! Within the 266 pages I reveal the secrets to achieving entrepreneurial glory beyond your wildest dreams. MASTERING THE ART OF MAKING MONEY (click name) is my Amazon best-selling book! (Paperback and Kindle). Within its 250 dynamite pages I share Precise Details of how I created wealth and earned a fortune. THE SIMPLEST SALES STRATEGY (click name) is my second title - available in Paperback and Kindle. Those intent on improving your life skills will be amazed by my exclusive revelation! Sales pro or normal 'Joe', this will put you on top of every situation. SELF-IMPROVEMENT SHOULD BE FUN! (click name) is 278 pages of my gloriously original take on personal development. It's revealing, inspirational and funny too! It's fact based on my real experiences and guides you to a life of sheer joy. Paperback and Kindle. 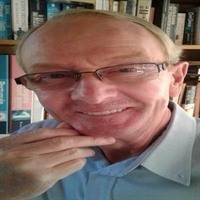 All my books - business, sales, finance, motivation, humour and other genres - are available at TOM'S BOOK SHOP (click name). I'm also a FREELANCE WRITER (click name) - I write Business Plans, Publicity Copy and Web Scripts. Also Articles, Short Stories and Blogs such as you'll find on these pages. Plus of course, Motivational and Wealth Creation guidance material. The life of which you dream is HERE within your grasp. So look me up HERE (click on). I'll be thrilled to hear from you!